On this first day of March, my mind wanders off to a verdant green and idyllic spot on the country. This was a home I rendered last year and I just love all the lush green plantings. 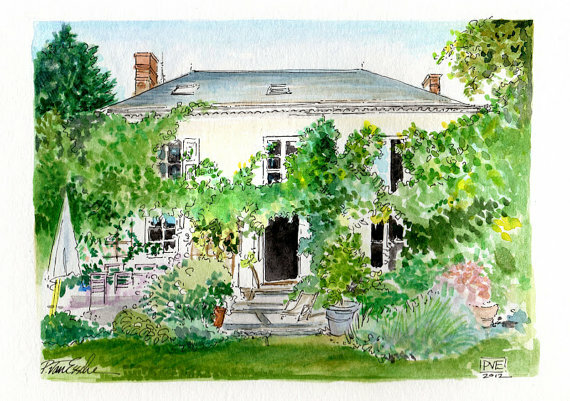 If you are interested in a home illustration, simply take a look over here on my etsy shop. 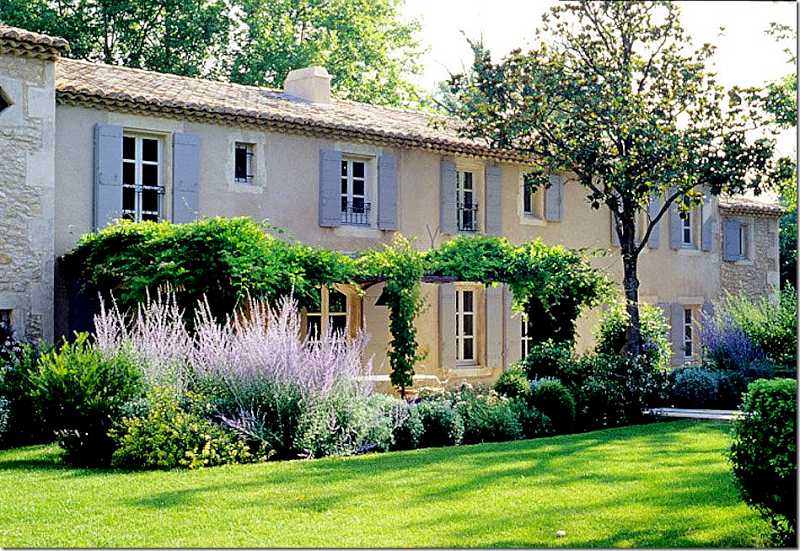 I have saved this lovely home which I believe is in France too. Are you ready for some green coming our way or are you longing for a trip to some far away spot where things are verdant green? i totally need to commission you to do a painting of our house!!! need to get a good pic!! love your stuff patricia! On dirait la maison se Sharon...? Beautiful lush greens...I am SO ready for spring! My French Country Home. We had the pleasure of visiting with Sharon last August. Even prettier in real life! Your illustration is just beautiful and it does make me think of Spring...just yesterday I was i the city and driving through midtown around the 50's and saw a truck loaded with flats of purple pansies and a few blocks later on Madison, yellow tulips were being planted. March 1st and spring comes to NY! i'm ready for some green, although sitting in front of the fire last night was lovely. can't wait to plant a little lettuce in a pot, and get some sunshine. How lovely! The lavender shutters above the lavender in the garden! Makes me feel like spring just looking at it. I'm ready for the green!